SARA NAIL: Wedding nail art for Bride! Soft white glitter gel polish Honey Pot TheOpenDirectory.org-Member of the World's Website Directory. 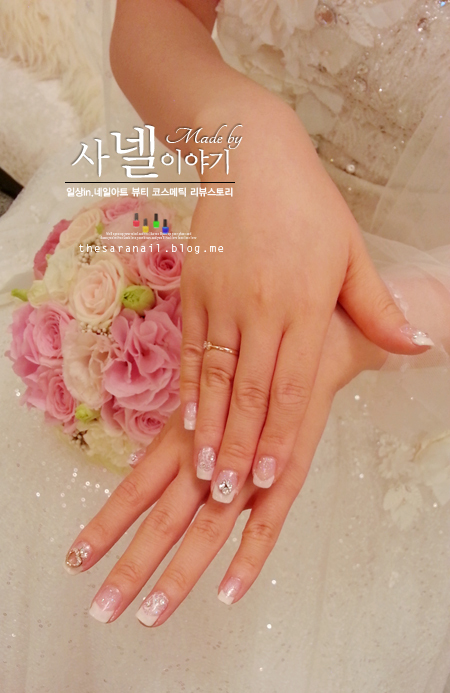 Sara shared the wedding nail art for Bride! This was for my friend's wedding ceremony last weekend! blend 2 kinds of pearls and make french line with white color. It's glossy and beautiful. it's simple to make your nail pretty! I think this one really matches with wedding nail.